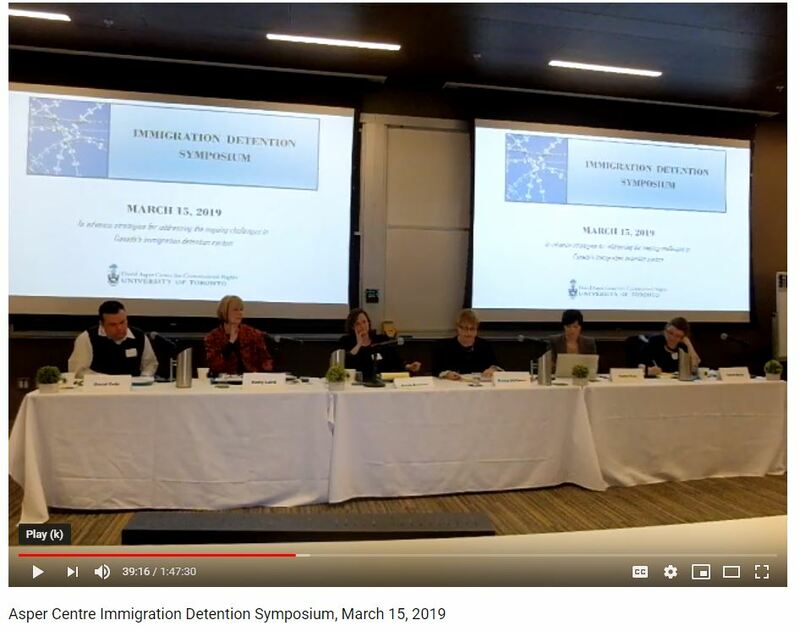 On Friday March 15th 2019 the Asper Centre convened a one-day Immigration Detention Symposium focused on advancing litigation and advocacy strategies to address the challenges within Canada’s immigration detention system. This Symposium highlighted immigration practitioners’ and civil society’s current advocacy efforts, recommendations and resources for achieving meaningful solutions to the challenges. The main objective of this Symposium was to bring together the relevant legal, research and advocacy partners who are focused on improving the serious deficiencies in the immigration detention system in Canada. We hope to help highlight some of the important responses and strategies currently being developed and implemented in this area, and that this opportunity for sharing and collaboration will encourage continued strategic litigation collaboration and coordinated advocacy efforts amongst the immigration bar and beyond.